It may be slightly early to start holiday Christmas recipes planning for some but for me, especially this year, the earlier I can plan, the better. 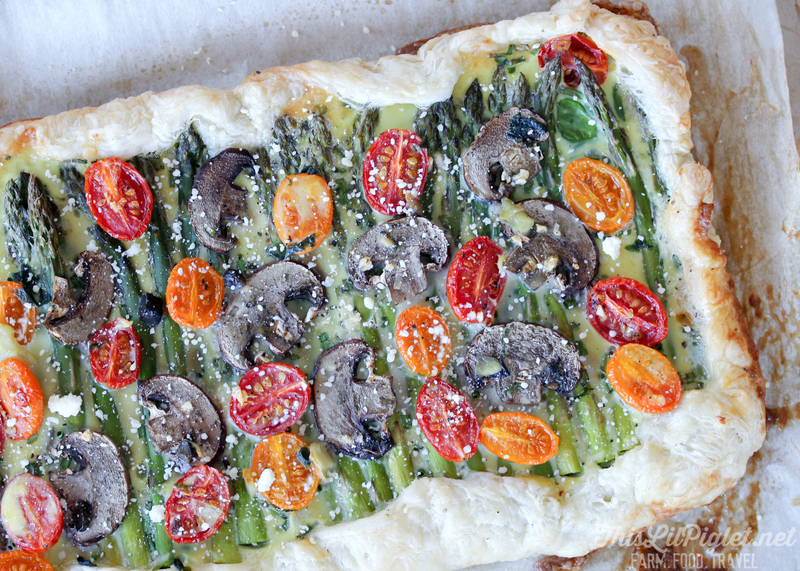 This Tomato Asparagus Tart offers last minute weekend guests a super easy delicious holiday meal without much effort so you can spend time visiting rather than in the kitchen. Disclosure: This is a sponsored post for Burnbrae Farms. All images and recipe within are the property of Stacey Martin of This Lil Piglet and all opinions are 100% my own. Realistically it takes about 40 minutes to cook this beauty but you can throw it together and pop it in the oven in less than 10 minutes. 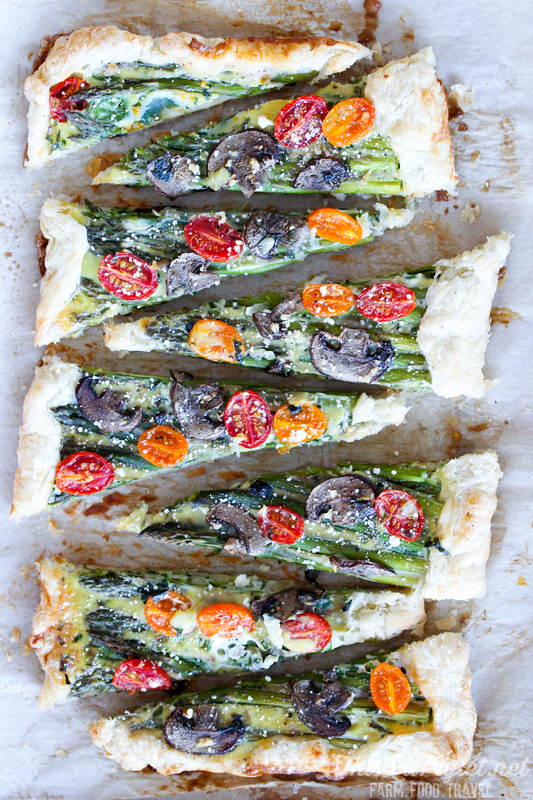 I love how simple but colourful this Tomato Asparagus Tart recipe is, a healthy recipe with an explosion of comforting flavours. Each Christmas morning we put together a Christmas brunch usually involving an egg casserole, because it always feeds a lot of people and leaves them with holiday entertaining memories. 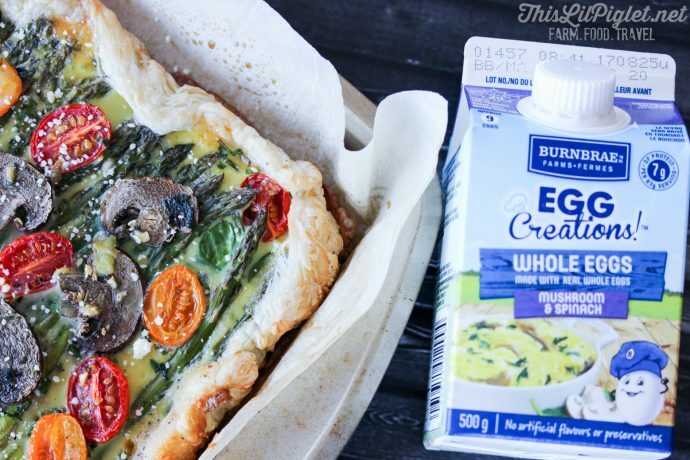 A Tomato Asparagus Tart is perfect for satisfying weekend guests or for a party appetizer; it only takes a few easy ingredients and flavoured liquid eggs to save you time. Personally , I keep a few cartons of these liquid eggs in my freezer at all times for days where we’re snowed in or for a quick holiday breakfast; just defrost overnight in the fridge and you’ll be ready by brunch. Eggs are a staple when it comes to holiday recipes. As an aside, it helps that they also provide a natural source of protein, vitamins and nutrients with a variety of health benefits. Most don’t think of that during the holidays; people want simple delicious recipes that don’t take a lot of time. Don’t forget to check out Egg Creations recipes for inspiration and make sure to keep updated by following Burnbrae Farms on Facebook, Twitter, Instagram, Pinterest and YouTube. If you like this recipe, let me know in the comments below, check out my other recipes and I’d also love if you’d pin it for later on Pinterest or follow along for other great recipes on Facebook, Twitter and Instagram. Through to the new year I will be sharing several delicious appetizer, meal and dessert recipes to help you entertain guests and family through the holidays in my Holiday Entertaining Guide. This recipe is part of the Holiday guide; make sure you check back for other new delicious recipes. Using thawed pastry dough, spread over parchment paper on a baking sheet into the shape of a rectangle, creating a lip around the edge. 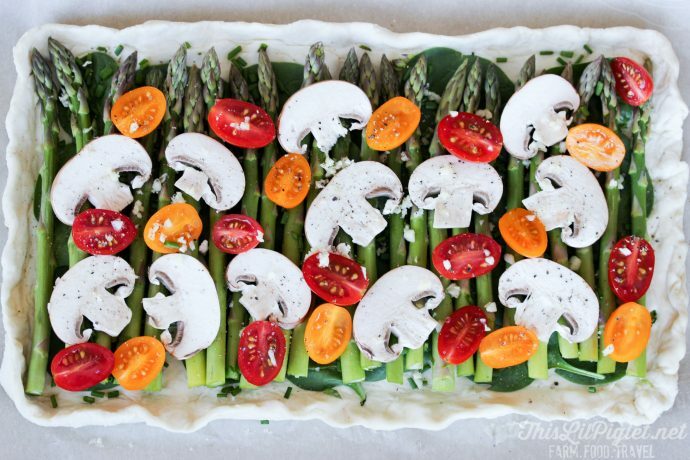 Spread a layer of spinach, asparagus, chives, mushrooms and tomatoes over the pastry. Sprinkle minced garlic, salt and pepper over the top and fold the edge of the pastry slightly up and over the fillings to hold the eggs in. Pour half of a carton of whole liquid eggs over the pastry evenly. Cook in the oven for 40 mins or until golden brown on the pastry edges. You may need to fold in the pastry using a spatula along the edges once cooking to ensure the eggs remain in the tart. 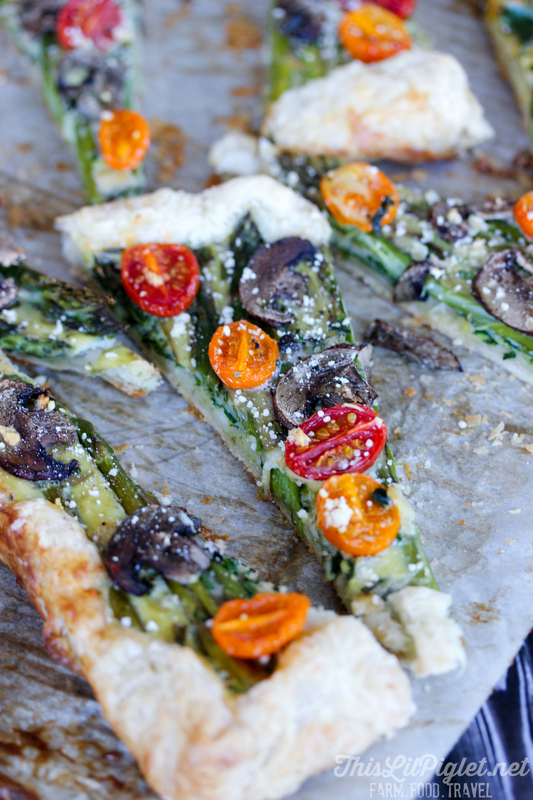 Sprinkle with parmesan before cutting into small slices and serve warm as a brunch meal or appetizer.